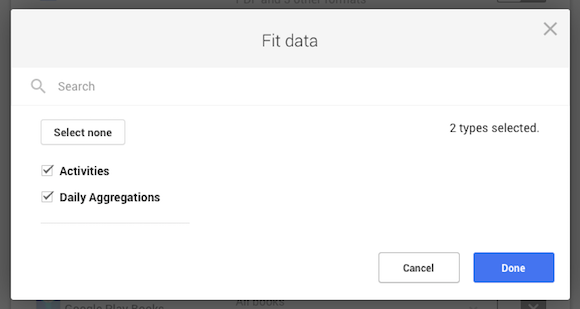 Google Takeout has recently added support for exporting Google Fit data. 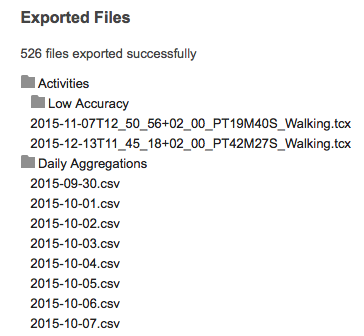 You'll be able to download some CSV and TCX files that include your activities and daly aggregations. * TCX (Training Center XML) is a common file format for fitness activity data that can be imported to many fitness tracking tools such as Garmin Connect and Strava. By default, Fit samples location data with low accuracy and frequency to reduce device battery consumption. These Activities are exported into the Low Accuracy folder. Activities recorded with Fit's active mode will contain more detailed location paths and more accurate data. * CSV files are easily read by spreadsheet software or parsed programmatically but may not be easy to import into fitness tracking software. Gmail's app for Android is more than a mobile app for Gmail, it's also a general-purpose mail client. You can add IMAP, POP3 or Exchange accounts and use the Gmail app to read, compose and organize your mail. 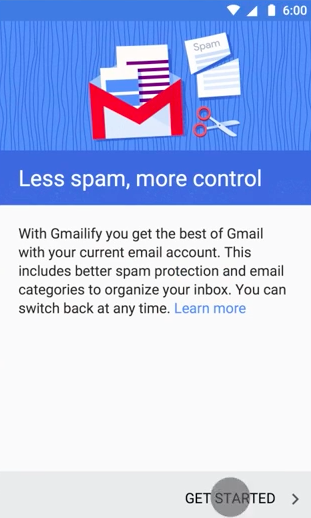 Now Google added the option to Gmailify your email accounts, which means bringing Gmail features without having to switch to a Gmail account. "Gmailify links your existing account to Gmail so that you get all the bells and whistles — spam protection, inbox organization and even Google Now cards based on your mail — without having to leave your current address behind. All you need to do is open the Gmail app, sign in to your email account(s), and enable Gmailify," informs Google. Which features are available? Spam protection, automatic categorization, labels, better search with support for advanced search operators, travel and hotel reservations appearing automatically in Google Now, better mobile notifications and all the other Gmail features. How does it work? You can link your non-Gmail address (Yahoo Mail, Outlook.com, AOL Mail, etc.) to an existing Gmail account or to a new Gmail account. "When you sign in to the linked Gmail address, you'll see your messages from the other email provider in your mailbox. You'll be able to read, reply, and organize them just like you do in Gmail." The Gmail app keeps everything in sync, so a read email will be marked as read in the original account, archived messages will be added to a new Archive folder, while Gmail labels will be treated like folders. 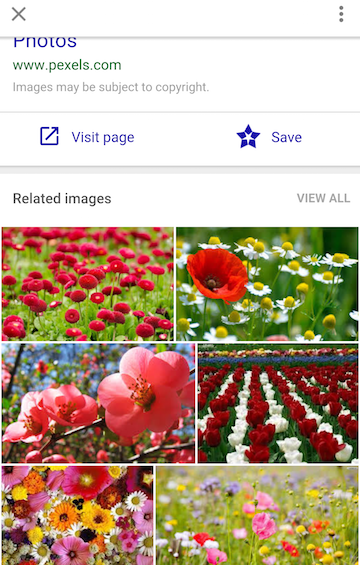 Google tweaked the mobile search interface. 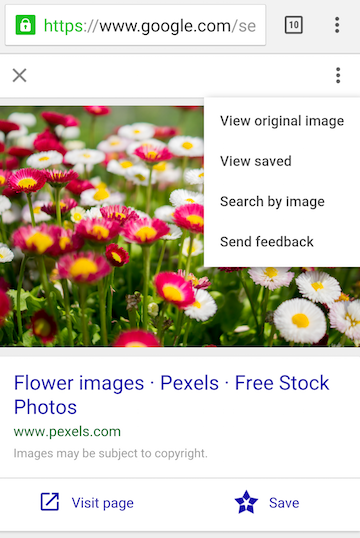 There's now a menu that lets you view the original image, open the list of saved images, search by image and send feedback. There's also a redundant "visit page" link below the image. 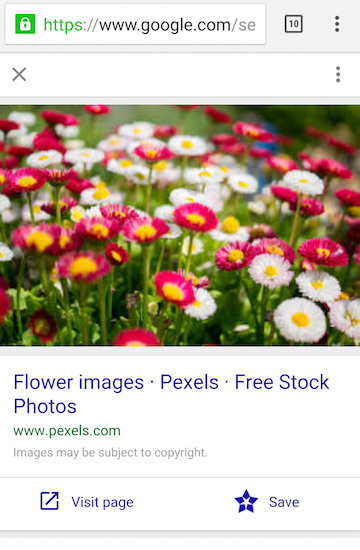 Google brought back the title of the page and that's a good thing because you can find more details about the image. Hopefully, Google will also bring back the snippets. You can find some screenshots for the old interface in this post.